Before proceeding, ensure that the product list in your Boulevard software contains all of the items on the personal website order to be imported, and that they are in an 8 digit part number format. Only orders that have the Order Status of either Processed, Shipped/Delivered, or Sent to Branch can be imported (not New or Pending). Log in to the InTouch website. 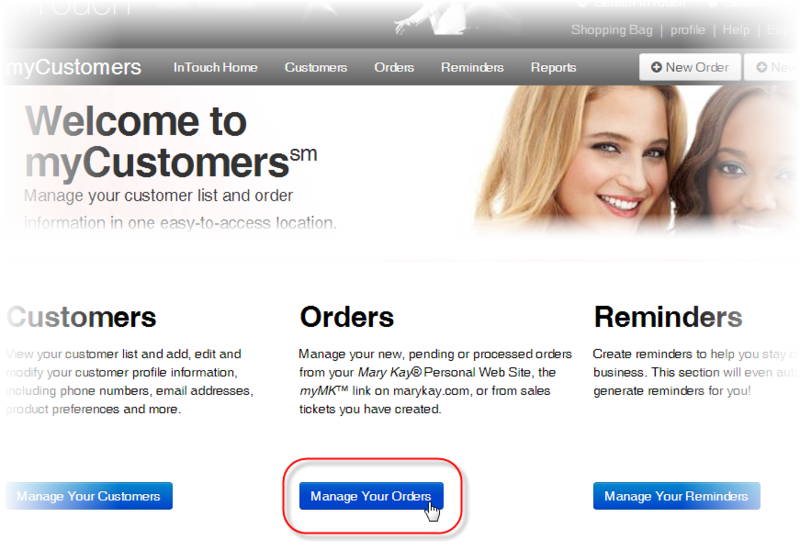 Under Business Tools > select myCustomers > then myCustomers. Copy the highlighted info to your clipboard using the browser’s Copy function (Ctrl + C). The invoice Sale type EZ Ship, is used for both EZ Ship and regular Customer Delivery Service orders you initiate to be shipped from the company to your customer or customers registered on your personal website. 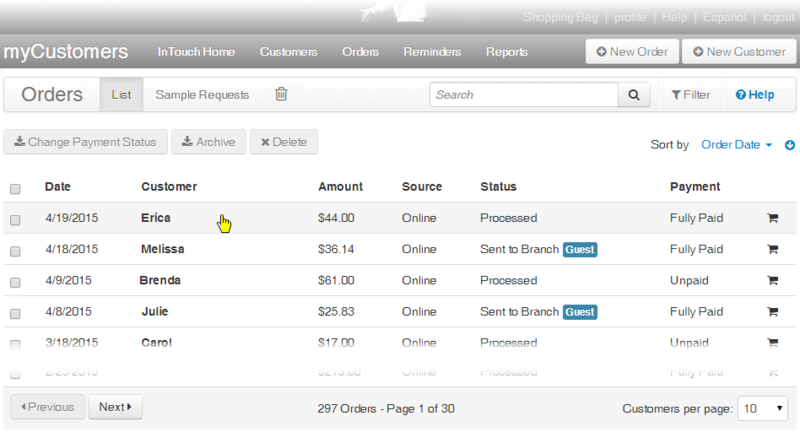 If you want the product to be deducted from your inventory, select the invoice sale type of Web instead of EZ Ship. The company may use different part numbers for samples on direct ship invoices. Add the sample using Boulevard's part number, and if the sample is free, change the Price to zero. Any part numbers not found during the import process will be displayed in a message form and not imported. You may cancel the invoice and re-import after updating your Product List in Boulevard. Create a new invoice for the contact. On the invoice, click Import. Select the invoice Sale type as Guest Checkout, EZ Ship if the product is being shipped directly from the company, or Web if the product will be deducted from your on hand inventory. From the top of the order, click the View CDS Order Status link to view the shipping and tax charged by the company. If you choose to charge for shipping, add the cost to the Shipping field on the Details tab. 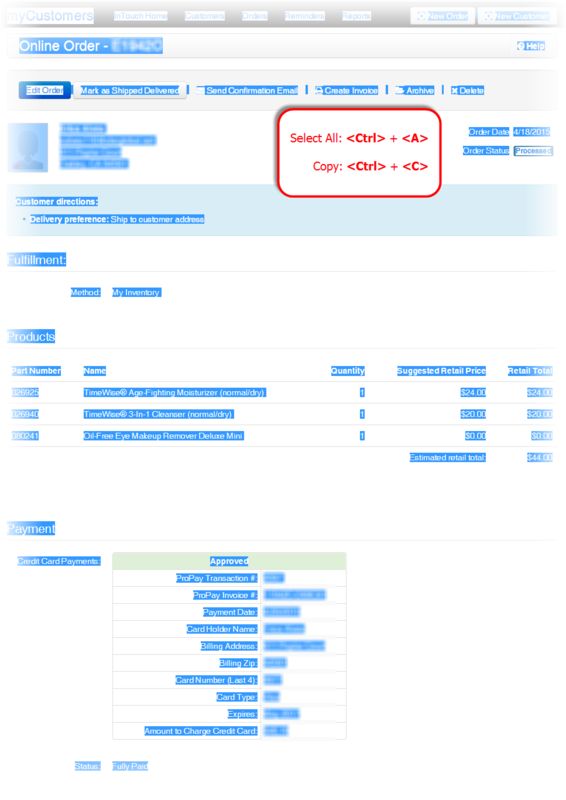 Click and enter the amount of tax charged by the company in the Tax Paid to Company field (Tax from the Order Status screen.) then click OK to accept and close the form. After ensuring all items have been successfully added, finish making any additions and/or changes to the invoice, including the form of payment and whether you want to print or email the invoice. When finished, select OK to complete the transaction. The Boulevard invoice date comes from the date listed on the personal website order. Promotional items (section 2 premiums such as the Deluxe Minis) are marked as a Gift line item (Type). The cost of any promotional items and applicable sales tax will not appear on the Weekly Accomplishment Sheet, but will be recorded on the Product Purchases report (Business Tools menu > Reports).